In March 2018 the nonprofit consumer rights group, Public Citizen Foundation, released an in-depth study called Twenty-Seven Years of Pharmaceutical Industry Criminal and Civil Penalties: 1991 through 2017. The report catalogs all of the major financial settlements and court judgments between state and federal governments and pharmaceutical corporations. What’s clear is that people injured by big pharmaceutical companies are not getting the same compensation they used to. 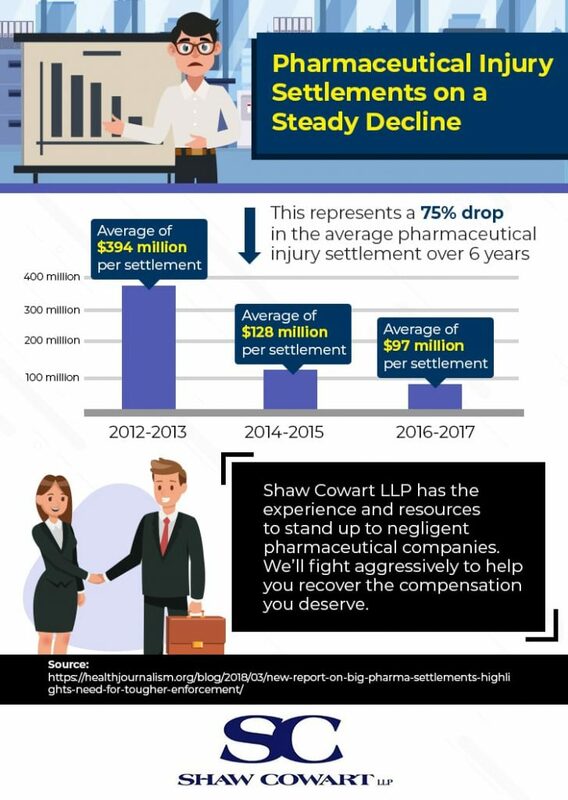 All the more reason why you should always hire an attorney if you or someone you love is hurt by the negligence of big pharma.